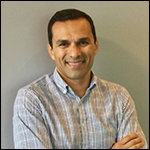 Roberto is a Managing Partner at Marketfit.us, an acceleration platform for second stage startups and the co-founder of Betablocks, a blockchain solutions company. He is also mentor at Google Developers Launchpad and advises startups looking to scale in the US. He is an active member of the Tech Coast Angels in Los Angeles and and the Miami Angels. He has invested in 17 companies, including Virgin Hyperloop One, uBeam, Jump Bikes, Movo Cash, Connected Signals, Papaya Payments, etc. He is also a crypto/ICO investor. Connected Signals Connected Signals, Inc. is an innovative startup in the connected car space that delivers real-time, predictive traffic signal data. Our engineers have developed sophisticated techniques to predict upcoming signal states. Knowing the current state of traffic lights and how they will change creates opportunities to increase driving safety, increase fuel efficiency, and improve the driving experience. Applications range from EnLighten, which tells drivers when the light they are stopped at will turn green, to vehicle powertrain optimization based on the state of upcoming lights. Fitspot Fitspot is a mobile app that connects consumers to fitness trainers and provides corporate wellness programs to small and midsize businesses. Consumer sessions are $59 and corporate subscriptions start at $199/mo. The service makes one-on-one and corporate group training affordable and convenient while increasing trainer and gym utility. Level27 Level27 offers a fully scalable crowdsourced social media distribution network that creates authentic virality for brands by leveraging the power of fans.